Ever broke a lid on your Nalgene or had a circular object you wished you could collar and lift? 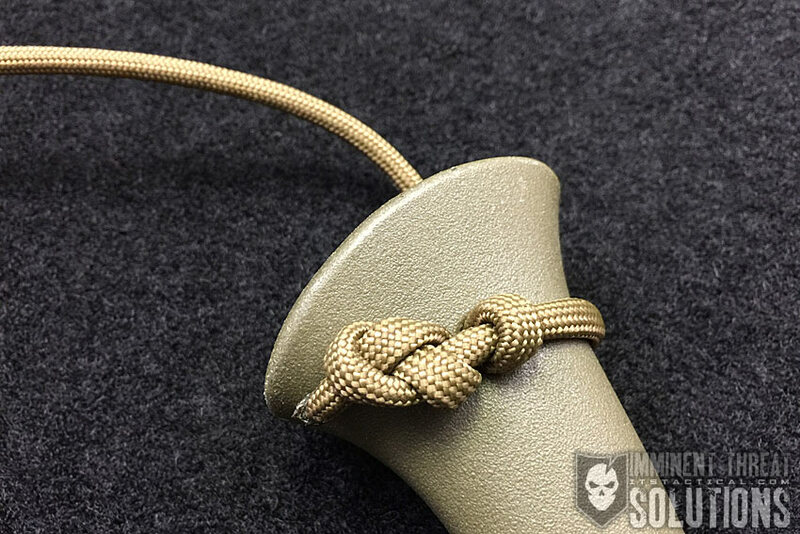 Look no further than the venerable Bottle Sling I’ll teach you how to tie on this week’s Knot of the Week. From what we’ve been able to find out, the bottle sling was first used by ancient greeks to not only carry jugs and bottles, but also as a surgical sling and traction device for dislocated joints. (Strength: 5/Security: 5/Stability: 3/Difficulty: 4) See below for what these ratings mean. 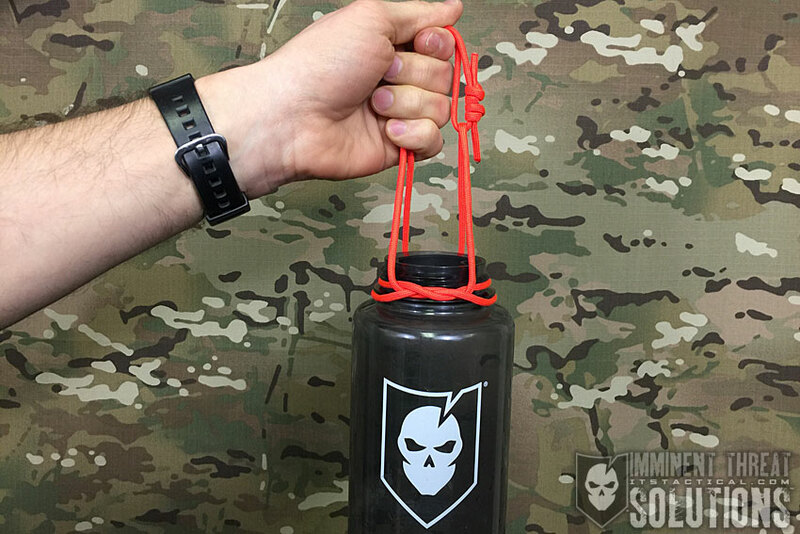 The bottle sling affords you the ability to carry any type of jug, bottle or jar by creating a hitch around the object and a carry handle. The carry handle can be made into a single loop as shown in the video above, or for heavier items can be made into two carry handles to split the load between two people. 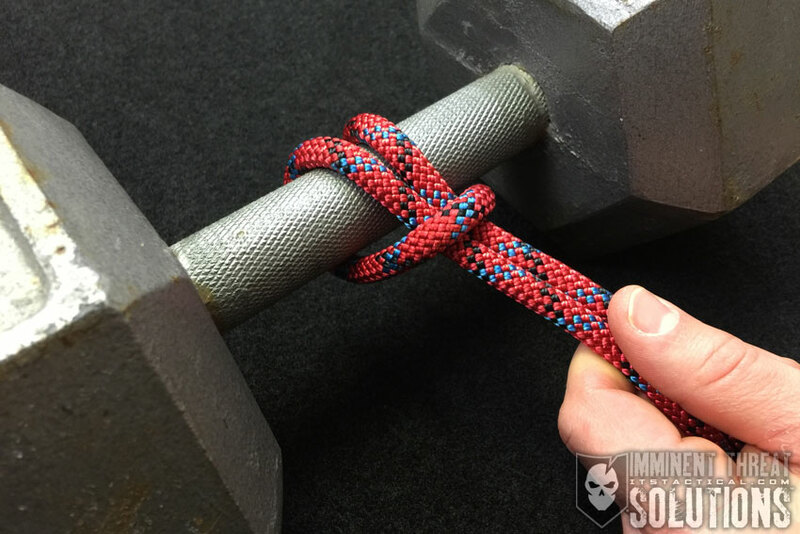 When carrying heavier loads, the paracord shown can be replaced with a stronger natural fiber rope. What makes this knot truly versatile and one to remember, is its ability to be used in medical applications for traction or slings.